PHU YEN (VNS) — The Vung Ro Oil Co. Ltd. (VRP) began site leveling for construction of the Vung Ro Oil Refinery & Petrochemical project yesterday morning. With total investment of US$3.2 billion, Vung Ro Refinery & Petrochemical project will be built in Hoa Tam Industrial Park in the Southern Phu Yen Economic Zone, in Hoa Tam Commune of Phu Yen Province's Dong Hoa District. Vung Ro refinery is located on an area of 538ha, including 134ha for construction of the Bai Goc Port, which will have an annual handling capacity of over 17 million tonnes of cargo. The oil refinery and petrochemical project was also licensed to use 500-1,300 ha of sea water surface. 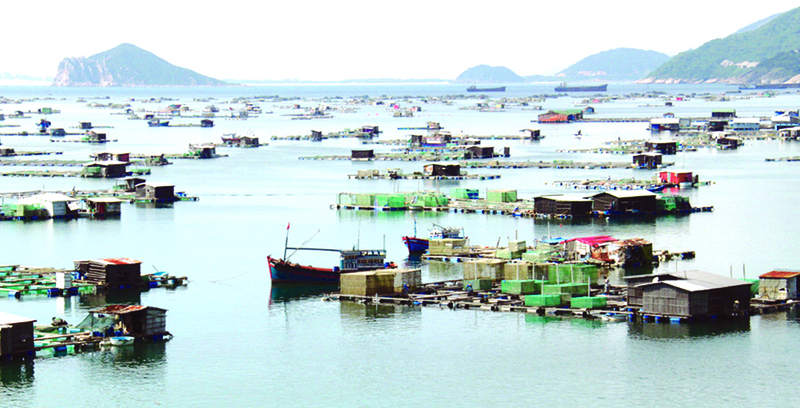 A representative of the Phu Yen People's Committee said over 134ha of Ban Goc Port had been handed over to the investor VRP. Construction is scheduled to start this year and it is expected to open in 2018. When completed, the refinery will have a capacity of 8 million tonnes of oil products per year. The refinery will process LPG, gasoline research octane number (RON) 92, gasoline Ron 95, jet fuel, diesel, fuel oil, and petrochemical products, including benzene, toluene, mixed xylenes, polypropylene and sulphur. Gasoline and diesel processed at the refinery will meet the Euro-V specification, while the other products will meet the existing Vietnamese specifications and international standards. The project is expected to generate 1,300 jobs and contribute $111 million a year to state coffers. Speaking at the ground-breaking ceremony, Kirill Korolev, general director of VRP, said the Vung Ro Oil Refinery would create an (economic) impetus for Phu Yen Province.